Leave Your Own Love Note! Did you have an amazing time? Leave a review at the links below! I just finished up a boudoir event shoot with Hannah. She was EXTREMELY professional and supportive during the shoot. Her beautiful studio makes for an intimate session and her talent and eye for capturing the perfect photo are exceptional. She knows all the right poses to make you look your best. Loved my experience with her! Perfect perfect perfect. Is literally the greatest way to describe this girl’s talent! I am in such awe of all her work I talk about it all the time. I was lucky enough to recently have her do a shoot for me. And I am behind happy with the results! One of the best photographers hands down! Her personality is just wonderful and makes her shoots so much fun!! The most comfortable and fun experience ever! Hannah pours her soul into her work and it’s seen in her incredible images. I loved my boudoir session with her and recommend everyone to Hannah! I saw Hannah in action at a friend's wedding this past summer. I was not engaged yet, but I looked my fiancé and said "she's going to be our photographer someday." I could tell I'd feel comfortable with her. Both Don and I aren't super comfortable getting photographed, so it was important I found someone who wasn't rude and would make us comfortable. Hannah has been so easy to work with. She has a lot of experience and artistic abilities that are all related to creating beautiful wedding ideas. She has a lot of wedding knowledge. She actually helped me pick out my wedding dress & I ended up choosing one that she picked out. She has beautiful taste. We had to reschedule our engagement photos a few times because of weather. She didn't even force me to make a decision but she was honest all the time and I trusted her. I really wanted snow in the pictures, because we are doing a winter wedding. We weren't getting any, and she encouraged me and stayed positive. I got to the point where I didn't care and just wanted to take the pictures. But, Hannah was right again!! We got snow and she planned everything perfectly. She went to our location and scoped out the place before we got there. She seriously puts alot of dedication in her work. Then, she literally had teaser pics for me a few hours after the shoot and had them all done by the next day. She just works works works! She's amazing. The pictures were beautiful. She made not so photogenic people feel so comfortable. 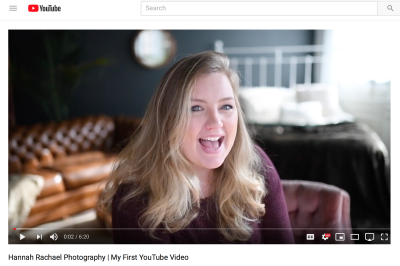 We are SO happy and SO excited to have her as our wedding photographer. One more thing ... I am one of the most indecisive people you can meet. I always question ideas. I have questioned everything I have done so far for my wedding. Hannah as our photographer has not once disappointed me and I have never questioned if I chose the right photographer. She will NOT let anyone down. 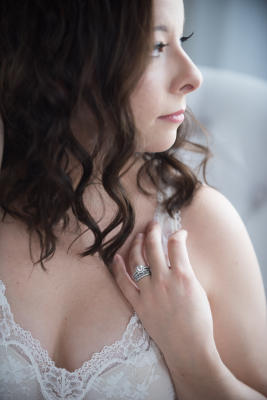 Hannah did a boudoir for me last October and photographed my wedding this past September. I felt 100% comfortable with Hannah during my boudoir and I'm usually very insecure around other people. For the wedding she was the only photographer and she captured everything we wanted. Cj and I were blown away by our photos and would recommend Hannah to anyone. She truly has an incredible talent and the best personality. 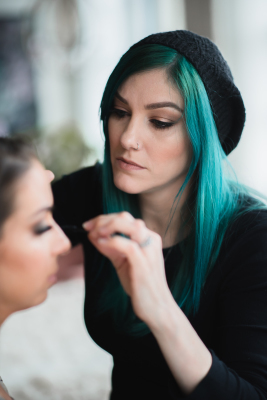 I am a makeup artist and just recently worked with Hannah, and I can't recommend her enough! She was so professional but at the same time had such a fun and energetic spirit about her! She also has produced the photos from the shoot super quick and they're all flawless! Her diligence, skills, and fantastic energy make her a top notch photographer to work with! I would recommend her in a heartbeat! Hannah is awesome! I just recently did a pregnancy shoot with my husband and they came out beautiful. She pays attention to every little detail to make sure every shot is a great one. My husband wasn't thrilled about doing the shoot so she got the shots she needed pretty quickly and was very efficient with her time and made it relatively painless for him. Everyone loves the pictures including my husband. I also did a boudoir shoot with her this time last year and she made me feel so comfortable frolicking around the woods in my underwear. They came out amazing. She really knows just how to position you, even down to where each hand should be placed. I will be cherishing all of those pictures forever. Once my baby comes she will be one of the first people I call so I can get great pictures of my newborn! Hannah is not only extremely talented and produces beautiful work but she really knows how to make you feel comfortable during a shoot! You'll always know a photo belongs to her because of her soft and romantic signature style. It's rare to find a professional and knowledgeable photographer that is self taught. If you want to relive important life events, I highly recommend Hannah for ANY occasion!!! Hannah was amazing!!!! I was so nervous at first for my shoot but she made me feel so comfortable and beautiful. she helped me in every way possible from how to pose to where to look and even reminding me to breathe haha I would fully recommend her to anyone as well as I cant wait to work with her in the future!! I did a boudoir shoot with Hannah over the summer. This was my first time doing anything like this. It was by far the most empowering experience! I wasn't sure how I would feel in front of the camera but Hannah made me extremely comfortable and got some AMAZING photos!! Hannah is incredible! I can't say enough good tings about her. I recently did a boudoir session with her and thanks to Hannah, the photos turned out amazing! She is exceptionally knowledgeable of exactly how to pose you so you look your absolute best. She patiently coached me the whole way through and made me feel extremely comfortable and confident in front of the camera. Any and all nerves I had, immediately vanished as soon as Hannah as we began. What drew me to Hannah's photography is her soft and organic style of pictures. I could not be any happier with my experience with her or how gorgeous my photos turned out. I knew I would like Hannah once I finally met her in person, but I didn't realize that I would love her! The only thing that outshines this young lady's talent, is her amazing personality! We already have other projects in the works and I am thrilled to be able to work with her again! Where to begin? Hannah has done our engagement shoot, our wedding, and a boudoir shoot as a gift for my (now) husband. She makes being in front of the camera feel comfortable, and easy. She has this natural ability to capture every moment and turn it into a treasured memory. It's difficult to choose just one picture that you love the most when going through her pictures- I'm literally obsessed with every single picture she has taken for us. There is no question that I will continue to call her for our future events as we grow as husband and wife! HIGHLY recommend her to everyone I know! !